Toronto, ON., Friday, March 9 - - Toyota Canada Inc. (TCI) announced today that the 2013 Venza crossover vehicle will make its North American debut as part of the Toyota display at the 2012 New York Auto Show. The Toyota Venza crossover, which redefines vehicle versatility by combining a sleek design with SUV flexibility, will now offer enhanced exterior styling, added value through several new standard convenience features and updated option packages. 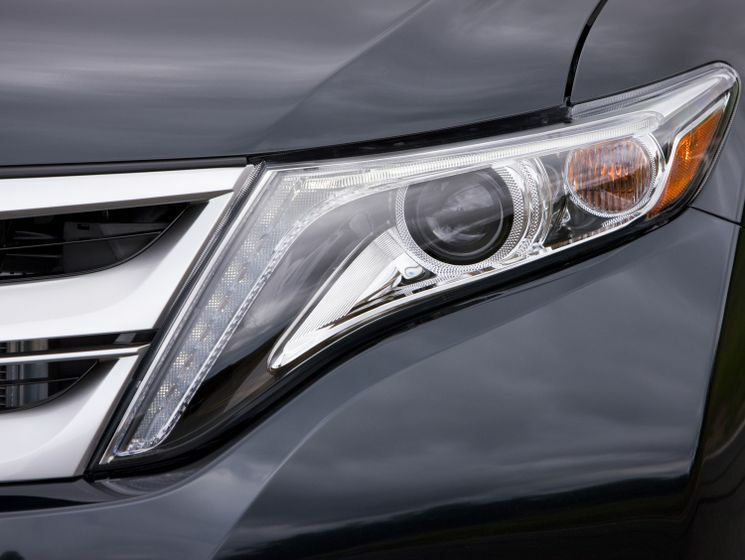 Venza’s aerodynamic shape has been tastefully modified with a new upper and lower grille, fog lamps and rear taillights. The updated styling is complemented by a new 19-inch wheel design and two new exterior colors: Attitude Black and Cosmic Gray Mica. The 2013 Venza will continue to be available in four-cylinder and six-cylinder front-wheel drive (FWD) and all-wheel drive (AWD) configurations. Value has been enhanced and ordering simplified with the addition of many standard features in all models, including 6.1” Display Audio with AM/FM, XM Satellite Radio, AUX, MP3 and voice recognition. Both Touring and Touring + JBL Packages available on the Venza AWD and Venza V6 AWD receive HID with LED Daytime Running Lights, Driver Memory Seats, Memory and Reverse tilt Exterior mirrors and 6.1” Display Audio with Navigation. Venza was developed specifically for the North American market, appealing to customers who prioritize bold, innovative design, a luxurious and refined interior and excellent handling, but still require roominess and versatility. Venza provides SUV flexibility with its fold-flat rear seats, spacious cargo area, elevated driver sightline, available AWD and up to 3,500-lbs. towing capacity. The Venza design was the creation of Toyota’s Calty Design studios in Newport Beach, Calif., and Ann Arbor, Mich. Calty designers leaned toward a sleek concept with a wide stance and sporty exterior, that included important SUV attributes, such as cargo space, towing capability and available all-wheel drive performance. Venza was primarily engineered at Toyota Technical Center in Ann Arbor, Mich. It is assembled at Toyota Motor Manufacturing Kentucky (TMMK), in Georgetown, Ky. More than 70 percent of Venza’s components come from North American suppliers.